If you are looking for a recipe with shrimps that is surely going to turn out fantastic in a crockpot? Then your search is over as this mouthwatering recipe with a combination of onions and capsicum and a touch of cayenne pepper with bay leaf gives it the kick of Cajun food. 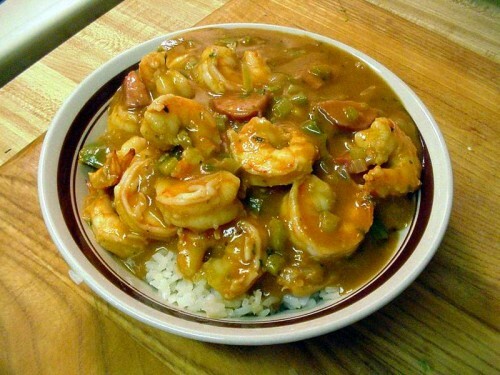 The slow cooking adds amazing flavors to the shrimps and the stew. Shrimps can be altered with chicken if do not have the penchant for sea food. The recipe requires a little attention regarding the low and high heat timings but trust me this tiny effort pays off with a spoon full of this main course meal which can be enjoyed with rice or bread alone.